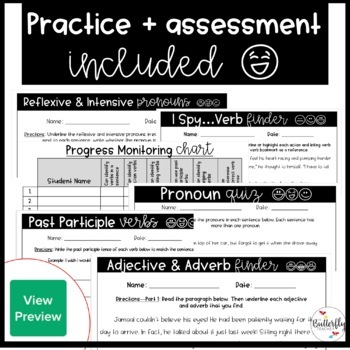 OCTOBER 2018 UPDATE: This NO-PREP Part of Speech Bundle resource for verbs, nouns, adjectives, adverbs, and pronouns practice has been updated and revised. 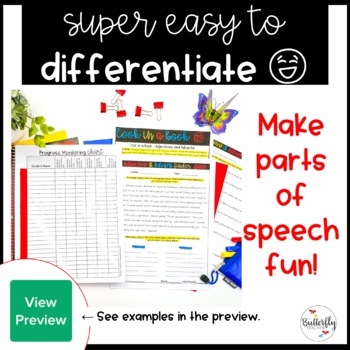 Teachers can easily differentiate this resource to meet the needs of all learners. 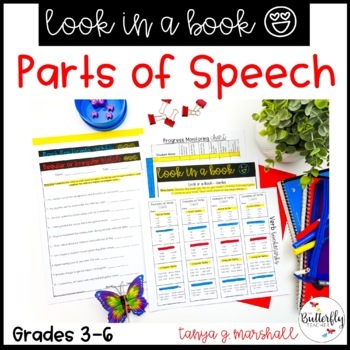 These NO-PREP Part of Speech activities can be used in a variety of ways for your classroom, and they are a great way to review nouns, verbs, pronouns, adjectives, and adverbs. Save 20% when you buy this bundle!! • Daily Grammar Practice Strips--For the ENTIRE year! Thank you for your interest in these products. Be sure to click the green star ★ by my name to follow for more classroom treats! Did you know that you can get TpT Credit that lowers the prices of your future purchases? Each time you make a purchase, you can offer a rating and feedback on that resource in exchange for credits that will go towards your next purchase! 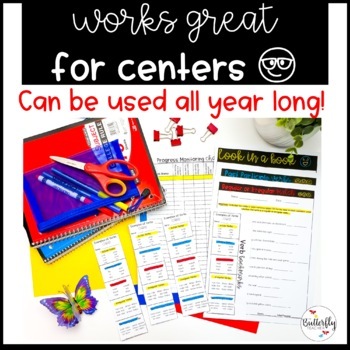 So be sure to rate this resources when you buy it to get your next TpT discount! And don't forget to click the green star ★ beside my picture to follow me for updates and first dibs on the latest classroom goodies from me!